In September 2000 Jean Ziegler was appointed by the UN Commission on Human Rights as the first UN Special Rapporteur on the right to food. The Commission on Human Rights was replaced by the Human Rights Council in March 2006 and Jean Ziegler’s mandate as Special Rapporteur was endorsed and extended by the Council’s resolution 6/2 of 27 September 2007. He fulfilled this mandate until 30 April 2008 and was followed by Olivier de Schutter (2008-2014) and Hilal Elver (since June 2014). The UN Special Rapporteurs, Independent Experts and Working Groups constitute the system of UN Special Procedures. UN Special Procedures are all independent, non-remunerated experts, appointed before 2006 by the UN Commission on Human Rights and since by the UN Human Rights Council. Their aim is to examine and report on the human rights situation of a specific state (country specific mandates) or to focus on a human right in various contexts and across countries (thematic mandates). The UN Special Rapporteur on the right to food is a thematic mandate. In resolution 2000/10, the Commission on Human Rights outlined the mandate of the Special Rapporteur on the right to food. His role was to: receive information and highlight violations of the right to food; cooperate with UN agencies, international organizations and NGOs to put the right to food into practice around the world; identify emerging issues related to the right to food. In resolution 2001/25, the Commission asked him also to: look at the question of drinking water and its relation to the right to food; contribute to the review of the implementation of the World Food Summit 1996 Declaration and Plan of Action; adopt a gender perspective in his work. As Special Rapporteur, Jean Ziegler’s job was to ensure that governments were meeting their obligations to respect, protect and fulfil the right to food of all people. 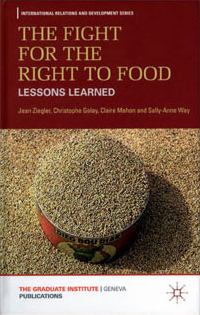 As the title of the book written by Jean Ziegler, Christophe Golay, Claire Mahon and Sally-Anne Way explains, the Special Rapporteur understood his mandate as a constant Fight for the Right to Food. define the normative content of the right to food and clarify the obligations of states through annual reports. promote the right to food to different audiences including states, UN agencies, and civil society organizations by advocating for a human rights-based approach to development, trade and in various contexts such as armed conflict and climate change. protect the right to food through communication and country missions, thereby giving a voice to victims of human rights and finding remedies for their sufferance. Each March, the Special Rapporteur submitted an annual report on his work to the Commission on Human Rights and since 2006 to the Human Rights Council in Geneva. At the request of the Commission and the Council, Jean Ziegler also submitted each November an annual report to the UN General Assembly. In these general conceptual reports, the Special Rapporteur focused on strengthening the normative framework of the right to food by examining emerging issues and those requiring urgent attention, including gender discrimination, trade liberalisation, the influence and human rights responsibilities of transnational corporations, food security, armed conflict, nutrition, and justiciability. The annual reports to the Commission on Human Rights and the Human Rights Council, as well as to the UN General Assembly can be consulted here. As part of the protective role of the Special Rapporteur, Jean Ziegler received several communications from individuals, groups and NGOs during his mandate. Every year, since 2007, a report on communications to the governments and the reply of the latter has been published as Addendum to the respective annual reports to the Human Rights Council. The Special Rapporteur undertook a series of country missions inquiring into the situation of the right to food in several countries from the different regions of the world. 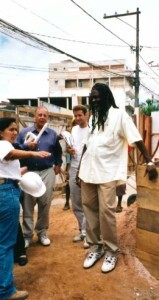 As such, Jean Ziegler and his team of collaborators carried out missions to Niger, Brazil, Bangladesh, the Occupied Palestinian Territories, Ethiopia, Mongolia, Guatemala, India, Lebanon, Bolivia and Cuba. It is noteworthy that the Special Rapporteur could only undertake missions to countries where the Government had officially accepted his visit. 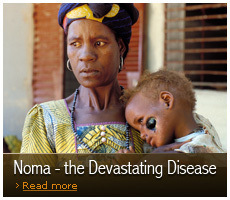 During the country missions the focus of the UN Special Rapporteur was to examine the progress made by states in realising the right to food over time, to monitor the situation of vulnerable groups, especially those that suffer from discrimination, as well as to monitor compliance with the obligations to respect, protect and fulfil the right to food. The reports on the country missions can be found here. 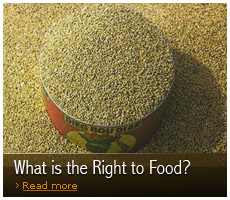 The 2011 publication The Fight for the Right to Food documents the work of the first UN Special Rapporteur on the Right to Food from 2000 to 2008 and of his team of collaborators. This book advances the understanding of the right to food in theory and in practice, offering essential conceptual and legal developments and an operational understanding of the right to food by documenting experiences in 11 countries across Africa, Asia and Latin America. It offers insights into the obstacles to the realization of the right to food, sets out key challenges for the future, and pushes forward the frontiers of international human rights law to address the persistence of hunger in the face of globalization. One of the most important achievements of Jean Ziegler’s mandate was to contribute, alongside other UN Special Procedures charged with economic, social and cultural rights mandates and UN treaty bodies, to the clarification of these rights. These mechanisms have developed the content of economic, social and cultural rights and of the correlative state obligations endowing them with the necessary clarity to allow their monitoring and their adjudication in courts. All these mechanisms have thereby made significant progress in repositioning ESC rights on the same value plane as civil and political rights: as proper, full-fledged human rights. 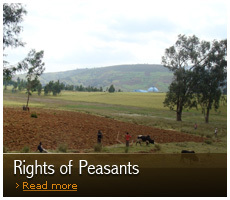 As a result of the intervention of the UN Special Rapporteur on the right to food concrete changes could be noticed in various countries at the normative level with the incorporation of the right to food in the constitution, legislation and strategic policy, in terms of increased cooperation between the government and civil society and in bringing to a halt violations of the right to food. In the case of the North Korean “refugees from hunger”, a solution was found after the submission of an urgent appeal, a subsequent press release and the presentation of the issue before the General Assembly. 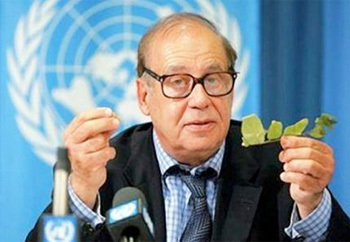 Jean Ziegler, the then Special Rapporteur on the right to food, informed the press in 2004 that people pushed by the food crisis to escape hunger by crossing the border into China were forcefully repatriated by China and faced severe punishment in the Democratic People’s Republic of Korea. As a result of the Special Rapporteur’s continued prompting, and after a mediation of the UN Secretary General, Japan and South Korea proposed to receive the “refugees”. - C. Golay, C. Mahon and I. Cismas, ‘The impact of the UN Special Procedures on the development and implementation of economic, social and cultural rights’, International Journal of Human Rights, Vol. 15, No. 2, 2011.